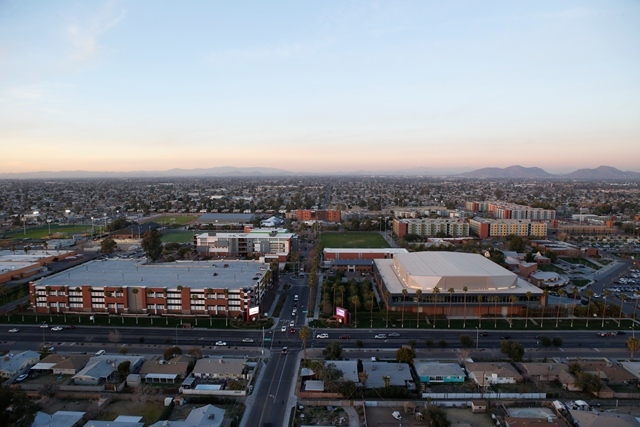 Grand Canyon University announced Wednesday that its Board of Directors has formed a committee of independent directors to explore strategic alternatives to its investment-based business model, including a return to the nonprofit status it held from 1949 to 2004. In particular, the Board chose to form the committee after the University’s management expressed a desire to explore the possibility of effecting a conversion of the University to a nonprofit entity. “As a management team, we have decided to look into the possibility of returning the University to its historical nonprofit status because we believe it may be in the best long-term interest of our students and our University, as well as our stockholders. “Whether or not this process is successful – and there is a great deal of legal and financial due diligence that must be conducted to determine if it could be possible – the growth and upward trajectory of the University will continue. The financial model of the institution has produced high-quality, low-cost private Christian higher education and we have found there is no end to the demand for this product. This process will not change the University’s operations or future plans. The University will continue to invest in its ground campus with plans to grow enrollment to 25,000 students. It will continue to invest in its growing online student body. Its academic and operational plans will remain the same. Its partnerships with the city of Phoenix – the Neighborhood Safety Initiative, a drowning- prevention program, graffiti abatement, the mentorship and tutoring of high school students – will continue. And extensive community outreach efforts and servant leadership will continue to be a hallmark of the University. “To fully understand why we are seeking to pursue this change, you must look at Grand Canyon’s history. In 2004, after 55 years as a small nonprofit private university, GCU was $20 million in debt and about to close its doors. Without a large donor base to turn to or the ability to rely on tax dollars, the University remained afloat by becoming a for-profit university, securing investor funding and adding an online component to its academic offerings. “During the next four years, GCU improved its financial position, but in order to grow out the campus and ensure long-term stability, it went to the public markets in 2008 for an infusion of capital to invest into the University. As a result of those investments, GCU today has a strong hybrid campus model that has enabled the school to freeze campus tuition for six straight years, grow enrollment on the ground campus from less than 1,000 to nearly 11,000 in just six years, and increase online enrollment to 55,000. “GCU experienced this remarkable success even as the for-profit sector of higher education hit a steep decline. Since 2010, 12 of the top 13 for-profit educational institutions in the country have had significant drops in enrollment and closed parts of their operations. The one exception, of course, has been Grand Canyon University. “We do not have a philosophical issue with having a for-profit status and having investors. However, the stigma surrounding the for-profit industry – some of which is deserved, and some not – is real and it is not improving. And no matter what GCU does to separate itself, its detractors continue to try to use this stigma to detract from GCU’s success. Some of those in the higher education community who have been impacted by our success have questioned our motives. Fortunately, this has had no impact on the University’s growth or perception to this point. “GCU looks and acts like a traditional private university or state university in almost every way. Since becoming a publicly traded company in 2008, more than 100 percent of its after-tax profits have been reinvested back into the University. In addition, none of the federal government’s new regulations aimed at curbing for-profit schools will materially affect GCU, as it surpasses those metrics in every way while also having cohort default rates well below industry standards and those of many of its competitors. ● GCU’s nursing graduates have a first-time pass rate of 94 percent on professional licensure exams over the last three years (the national average was 71 percent in 2013). ● GCU’s teaching graduates also pass their professional knowledge exams at more than 90 percent and had a 100 percent placement rate for 2014 spring graduates seeking employment in education. ● GCU’s pre-med students get accepted into medical schools at a 75 percent rate (the national average is 42 percent). ● Nearly 90 percent of its Colangelo College of Business students are employed within six months of graduation. ● GCU is adding to its over-160 academic programs to include computer science, information technology and engineering. Although this seems like a great idea and it would definitely detach the school from the negative for-profit stigma, they don’t seem to be considering the effect that this change will have on the large and on-growing amount of undocumented and legal non-permanent students who have turned to GCU in the recent years precisely because the school rewarded scholarships despite their legal status. This change will make a college education unaffordable for these students. THANK YOU, Brian Muller and Executive Team for moving GCU forward!!!!! How will this affect students? Will tuition cost rise? Does this effect the roll of GCU and their desire to move into NCAA Division I athletics? Grand Canyon University is a top notch institution of higher learning, and whether we return to a not for profit status, or remain where we are, we will never be for loss. This university is on its way to greatness. I am very to happy to be a part of the growth cycle. I started working here almost 7 years ago, and this university does not resemble the one I came to in January, 2008. We are a giant in many ways, and those who observe us, and with whom we come in contact, have seen amazed and thrilled because of who and whose we are. Cindy: This would have no effect on undocumented on legal non-permanent students. GCU would remain a private university, which means its tuition is the same for everyone no matter where they’re from. Joshua: Nothing in the university’s operational plan will change, including tuition rates or the large amount of scholarships that are given to students. The reality is that becoming a nonprofit university should make it even easier to freeze tuition (which has been the case for six straight years) because, in the long run, it alleviates a large tax burden GCU currently pays. Criss: GCU is already a member of Division I athletics, so it will not affect that. As a for-profit university, GCU is allowed membership. However, GCU does not have voting rights as a for-profit member, so that would change if it becomes a nonprofit entity. If GCU becomes a non-profit again, I will most likely return to the University. :) I love GCU and all that they stand for. Just the whole for-profit thing, which I learned after I was in my first class, was the decision for me to go elsewhere. I hope and pray for GCU to return to a non-profit status. GO LOPES! I am a new student to GCU and currently enrolled in a doctoral program and my decision to attend GCU was a difficult one based on the “for profit” status. I was concerned if my degree would be considered “creditable” or would it be looked upon as coming from a “degree mill”. I had been careful in the past to ensure my degrees came from respected “non profit” universities to avoid these very questions about the authenticity of my degrees. What made me decide on GCU despite being a “for profit”? It was the reputation of the GCU that was the tipping point. My father and brother, Dr. Gerry L Bedore’s, Sr. and Jr. respectively spoke very highly of GCU for many years and the quality of education they provide. I also spoke with other students who attended GCU who also had wonderful things to say about their educational experience. While I have only been here a couple of months, I can say so far, this has been the most experiencing to date. The support to vote our success is unmatched and I am so happy I didn’t let GCU’s profit status drive my decision. Regardless of the direction GCU takes, your statement that “Academic quality to remain the top priority” is above all the most important. Best of Luck and keep up the amazing job! I’m currently a student of what is considered the “for-profit” side after finishing several degrees at traditional universities. I have found that education is what you make of it — you get what you put in. As I’m currently studying business, I find that hybrid approaches between government and private or non-profit industry serves as a partnership which can work, so why not non- and for-profit partnerships as well? GCU has a unique approach to education and I appreciate it. Whichever the Board decides, I support my school! Grand Canyon has grown at a very fast pace in the last 4 years! The reason for this is due to the fact that we are for profit. Being for profit allows the leadership team to use the resources to help expand and grow the University in many ways. I do not agree with the consideration of going back to a non-profit organization. GCU is growing fast and are taking many people with them into a great direction. The leadership team just needs to put the bunny ears away and understand that the comments that are being made towards us are due to our success and they fear for their positions. I say stay for profit and keep up the great work GCU!!! I have transferred to GCU from one of the largest for profit schools which is now being closed down by the Department of Education. Obviously I had no idea of what to look for when choosing a school,.. I wish I had had the intelligence of Lisa Robinson in a previous post in this discussion before I made my mistake. I spent 18 months in this school before I transferred to GCU. I must admit I thought the teachers were good as well as the text. But as an accounting major I would never be able to take the CPA exam. in my state Idaho with the credits I earned at my former online school. Because they were only nationally accredited not regionally. Something I had to learn about the hard way. I transferred to GCU for a couple of reasons. One The tuition was lower and I thought it might be nice to have a few more dollars in my pocket while I was still in school. Two GCU is a Christian school and I have been a Christian for 38 years and am a student of the Bible. In this world it is a comfort to be amongst my own. Immediately after I transferred to GCU I realized I was still in a for profit school. I thought I have left the frying pan for the fire. It is good to know that GCU is regionally accredited and now when I finish school I will have enough good credits I hope to still take the CPA exam in Idaho if I choose. I think it is a good idea for GCU to return to its non profit status for a couple of reasons. One I am sure it would be more Christ like to operate in a not for profit capacity. In order to reinvest excess funds to enrich students teachers administrators and community would be an excellent endeavor. Two GCU has a history of good integrity and should not be blemished by being grouped in with the other for profit university’s or colleges. I hope GCU goes through with regaining their not for profit entity. I am now proud to be a Lope. I would love the school to return to the non-profit status. I work and have worked for non-profits for 15 years and the joy I get from being of service cannot be replaced by dollars. It is the sense of community that a non-profit brings and the investment of every dollar matters. I chose GCU because I believe in the mission. My hope is that the change will occur and it will encourage philanthropy through charitable gifts and long and lasting change in the community through highly educated people who want to give back in with time, talent, and other resources. I support the idea and am currently a student in the College of Doctoral Studies. I am a first-term doctoral student. I applaud the decision to look into this. I admit to being a bit apprehensive about my decision to go to Grand Canyon after considering the for-profit status. I feel more committed to GCU after this decision. I note that academics will come first through several projects. How will the doctoral completions be affected? I noticed a lot of projects about medical and nursing. These are primarily undergraduate projects. I would like to see a continuance of the doctoral standards and possibly more graduates with doctoral hoods. GCU impressed me on how they have not increased tuition in 6 years. This is unheard of in today’s competitive market. The customer service from the staff is amazing and they are very patient with helping the students. I went to other schools for my undergraduate and graduate degrees which did not provide such a service. They were distant and I felt more like a number than a person. GCU is the total opposite. This is my second year of my doctoral studies. I am a First-Term Graduate student of the College of Thiology GCU. I have just been immatriculated to do an MA in this marvellous University.Whether it remains a non -profit or a profit making establishment does not matter. What attracted me here was the Divine nature of this institution. I am saying that the Holy Ghost will always guide the management to witness an uptrend. Whatever Jehovah has a hand in will always prosper, because a greater focus is paid on the destiny of man. I am thrilled with the idea of GCU going on as a not-for-profit university, even though I qualified for admission through a for-profit system. The change in status should confer additional status and dignity, even though the for-profit model has done the institution a great service in returning it to solvency. As a shareholder of GCU stock and a tuition payer for my child’s tuition at GCU, I don’t have a problem whether GCU is For Profit or Non-Profit. It is simply a legal and financial definition. Can you imagine a DMV that was For Profit? How long do you think the line would be? Can you imagine a convenience store that was Non-Profit? How cheap would the prices be? And how long could it stay in business? Now, imagine a For Profit University in Phoenix that costs less than a Non Profit University in Tempe. Now how can that be? Because the For Profit University has decided to be responsive, progressive, and customer oriented. It doesn’t just get by on tax dollars given out with no regard to performance. It’s degree programs are Pro American. Pro Business. Pro People. It doesn’t get caught up in political correctness. It just tries to do the right thing. How refreshing! My child is thriving and I highly recommend it, whatever their corporate tax status! GCU continues to be a blessing to its students, to their families, to the community, to various professions, and to society. My wife and I have both been blessed through our academic endeavors at GCU. My wife recently graduated with a degree in elementary education and the blessings of GCU, the love of Christ, and the benefits of servant leadership are now being transferred to her sixth grade students in a local Christian School in the Phoenix area. Thus the blessings continue to be multiplied. I am currently a few weeks away from a earning a degree in the CCOB in which I have learned the most relevant of information imaginable. All with the ability to live and speak of my faith without apology or ridicule. This makes GCU a unique place indeed. We are told in James 4:10 “Humble yourselves before the Lord, and He will exalt you.” I believe that GCU has been, and continues to be, humble before our Lord and is therefore blessed. Whether public or private I have confidence that GCU will continue to be a humble servant leader to many more students who need this unique place and respite. My prayer is also that the campus at Eastmark will eventually be constructed in the east valley. I’m a student at a state research university. I have no love for the for-profit sector of higher education, particularly large chains like ITT Technical Institute or the University of Phoenix. Most of the schools are nothing but profit-generators for investors who don’t value the mission of education and are only looking to make a quick buck. 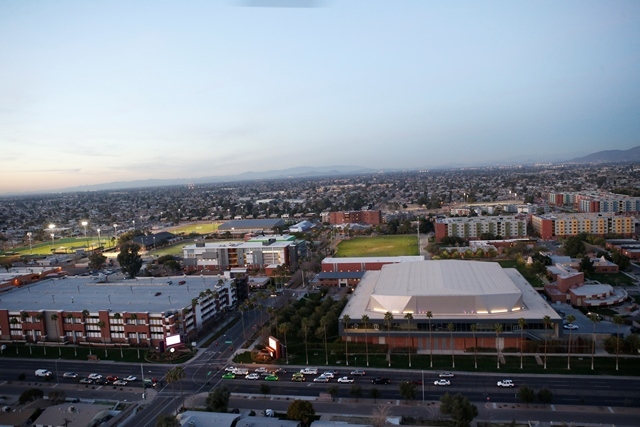 That said, Grand Canyon University is true diamond in the rough in this sector. Rather than falling to the conflicts of interest that plague other for-profit schools, GCU took advantage of the best aspect of for-profit tax status, outside investment, to grow the school far beyond what it had ever been before while having a strict no-dividend rule to make sure all revenue the school generates is put into the school and its mission, not in the pockets of investors. Based on the available stats the educational services and GCU is of high quality, and the use of revenue to keep tuition much lower than even most non-profit private institutions is remarkable. For these reasons, I’m not sure GCU should change status. It’s standing as a shining example some struggling schools of how to take advantage of the for-profit status and a means to benefit your students, not the investors. Many people throw for-profits into one big pile of garbage when really the sector is being plagued by bad actors like UofP, ITT, Devry, and Everest. Switching to non-profit means that the only way for the school to generate capital would be through charitable donations, which is a tough sell in these tough economic conditions. Whatever GCU is doing right now is working for itself and its students, so I’m not sure if switching is really necessary. I am intrigued by the concept of for-profit universities but recognize that the reputation of most of these schools is very poor, in many cases for good reason. GCU seems to be a rare exception and I can see why you may want to escape the negative association. My question is, if you do switch to the non-profit model, how will you access capital to fund future growth? David: Future development will not be impacted if the switch to a non-profit model occurs. GCU is now in a very strong position financially and does not need to go back to the public markets for additional capital. The University’s cash reserves and current revenue streams provide the capital needed for future growth. It should be noted that GCU has invested more than 100 percent of its after-tax profits back into the University since becoming publicly traded in 2008.